I received a free review copy of this book in return for an honest review. Samuel Hoenig has set up his own business where he answers questions for a living. This isn’t your run-of-the-mill ‘detective’ agency – Samuel has Aspergers and is therefore adamant that he is not a detective but a ‘question answerer’. This means that his cases have to be presented to him in a certain way. He hasn’t been running his new business long, but a previous client has already recommended him to a friend, which brings him ‘The Question Of The Missing Head’ from the Garden State Cryogenics Centre. In attempting to answer the question, Samuel becomes embroiled in a murder investigation, along with his newly appointed assistant Ms Washburn. Samuel’s Aspergers means that he is able to get to the root of the problem, and ask the questions of the people involved that may be harder for others to tackle – but will his distinct difficulty in dealing with certain social situations mean that he gets removed from the case before he has solved it? Will he be able to help solve the murder at the same time? Obviously, you can’t read this book without comparing it to The Curious Incident Of The Dog In The Night-Time or, more recently Smart. However, this book is set in New Jersey and Samuel isn’t a child – he’s in his mid-20s I believe. There’s something of a young Monk about him – and I love that programme, so it’s probably no surprise that I loved this book too. It’s charming, as is Samuel as we get to see inside his head, and the way that it works – not just witness what comes out of his mouth. And Samuel has been taught well by his mum – he understands that there are certain things that ‘aren’t socially acceptable’, even if he doesn’t understand why. And he is also aware that there are certain nuances in language and behaviour that he is particularly likely to miss – which is why he sees Ms Washburn as being an asset to his previous ‘team’ of one. 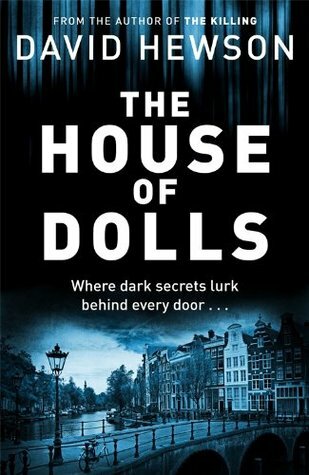 A lovely light detective romp with an endearing character – I hope that we will see more of Samuel in the future. 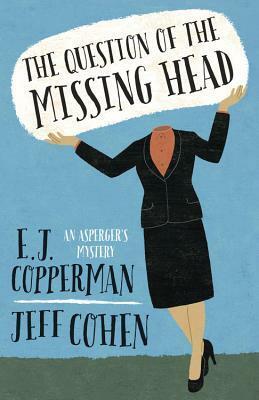 The Question Of The Missing Head by EJ Copperman & Jeff Cohen will be published on 8th October 2014. Hi, Normal. Thanks for the review! Just to clarify: Samuel is in his early-to-mid 30s. Glad you enjoyed it!